Intellectual Property Law expert and Senior Lecturer in The City Law School, Dr Enrico Bonadio, says it is time the copyright system started to take into consideration the borrowing of music for creative purposes. 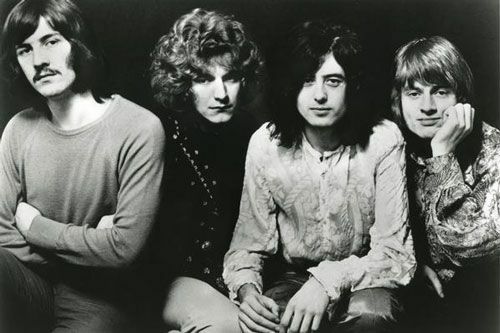 Led Zeppelin’s Robert Plant and Jimmy Page will soon face a jury trial in order to determine whether they copied the opening chords for their 1971 classic Stairway to Heaven from the song Taurus, recorded by the little-known band Spirit in 1968. At a hearing in California last week the presiding judge, Gary Klausner, ruled that the songs were sufficiently similar to warrant further investigation. The court was convinced that the famed British rock band would have had the chance to listen to Spirit’s song (it seems the two bands toured together in America in the late 1960s) and that the two tunes could have relevant similarities in the first two minutes, arguably the most important and recognisable segments of any piece. Access and substantial similarity between the works are the requirements for a successful copyright case. The main defence raised by the British band was that the descending chromatic four-chord progression in Taurus is commonplace and not original – and so not protectable by copyright. The court found this unconvincing. In copyright infringement proceedings this kind of defence (based on the so-called scènes à faire doctrine) is frequent. While it is true that that chromatic progression is a common convention which abounds in music – said the judge – the several similarities between the two songs here transcend this main structure. 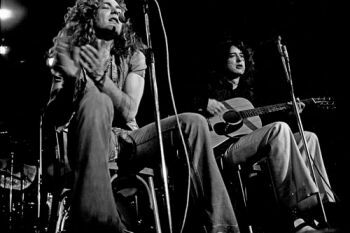 It is therefore now for the jury in the upcoming trial to decide whether, having in mind the ordinary and reasonable listener, Stairway to Heaven has taken Taurus’ “concept” and “feel”. In copyright jargon this is known as the intrinsic test. This standard was used by the same court last year in the famous Blurred Line case, when it was found that pop stars Robin Thicke and Pharrell Williams had copied the Marvin Gaye song Got to Give it up. Gaye’s children were awarded $7.4m – although the award was subsequently reduced , and the decision is currently under appeal. But I’m not a big fan of this test, especially when it comes to music. It’s not always easy to compare the total “concept” and “feel” of a song without mistakenly also taking into account its unprotectable elements. 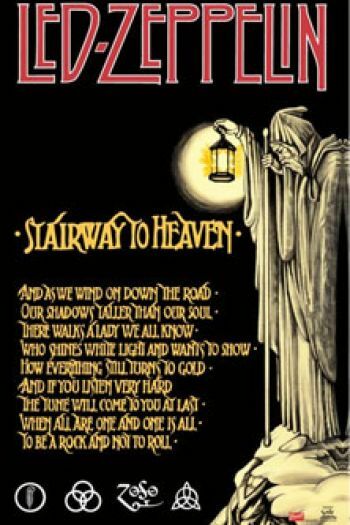 I’m concerned that a blind reliance in the Stairway to Heaven case on this standard – one that is not accepted by all courts – may again end up in a finding of copyright infringement. And this would have the perverse effect of discouraging, rather than stimulating, music creativity. I don’t think that it is appropriate to consider the act of devising a tune that simply has the same “feel” and “groove” as another as copyright infringement. This is how music creativity often works. Musicians frequently build upon earlier arrangements and styles, and so the increasing occurrence of cases such as these should give us pause. Copyright laws and principles should take these features of music production into due account. They should be based on a careful balance between creators’ proprietary rights and areas of freedom that permit later musicians to use the building blocks of a particular genre for creating new pieces. Borrowing from earlier pieces is a structural element of music creation in many genres (a tune cannot always be created from scratch by just improvising). Classical music composers such as Handel, Beethoven, Shubert, Mozart, Bach and Puccini all significantly borrowed from earlier colleagues. The same holds true for jazz (which has built upon popular music and opera), rockabilly (influenced by country), rhythm and blues (which derives from boogie-woogie and gospel) and the Jamaican music scene (where traditionally covering and arranging each others' tunes was widespread and largely accepted). I wonder what would have happened if the strong copyright protection of present times – which tends to prevent and thus discourage any creation of songs derived from others – had been around since the era of the first copyright statutes. It’s probable that composers and musicians wouldn’t have created many masterpieces because of the fear of violating some legal provisions and suffering negative consequences. Much of the music we now love would just not exist. The importance of borrowing music has become even more pressing with the boom of digital technologies. Sampling – taking a portion, or “sample”, of a sound recording and reusing it as an instrument in a different song – is the most striking example. This technique of music creation is the backbone of highly popular genres such as hip-hop and rap. It is time the copyright system started to reflect and take in due consideration the relevance of musical borrowing for creative purposes. Last year’s decision in Blurred Lines already sent a bad signal. I sincerely hope the jury in the Stairway to Heaven case won’t follow that path. Should Led Zeppelin be found liable for copyright infringement, we would have yet another blow to hopes of preserving a creative environment capable of ensuring the advancement of musical arts. An intellectual property term used in reference to copyright to exclude from copyright and prevent alleged holders of copyright from attempting to assert exclusive ownership of elements of a work that are standard, stock or common either in general or in relation to a particular topic. Under the scènes à faire doctrine, the courts will not protect, under copyright, commonplace elements. Kylie vs Kylie - who will win the legal battle between Minogue and Jenner?